it's one of my favorite websites. It's the best source for all things Mister Rogers. I got to chat with my old friend Tim and my new friend Aaron about the episodes of Sesame Street and Mister Rogers Neighborhood where Fred Rogers and Big Bird visited each other's shows. 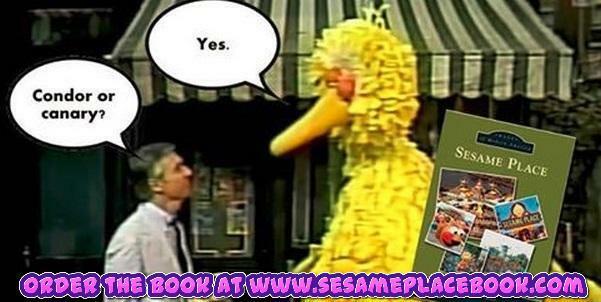 Tim and Aaron are joined by long-time Neighborhood Archive friend Guy Hutchinson for a fun-filled and inquisitive conversation about cross-over occurrences between Mister Rogers' Neighborhood and Sesame Street as well as Guy's upcoming book Sesame Place -- a look back at the 35 year history of Pennsylvania's Sesame Street theme park.